iBulk stocks a broad selection of woven wire mesh. It can be provided in rolls, flat panels or completed screens. 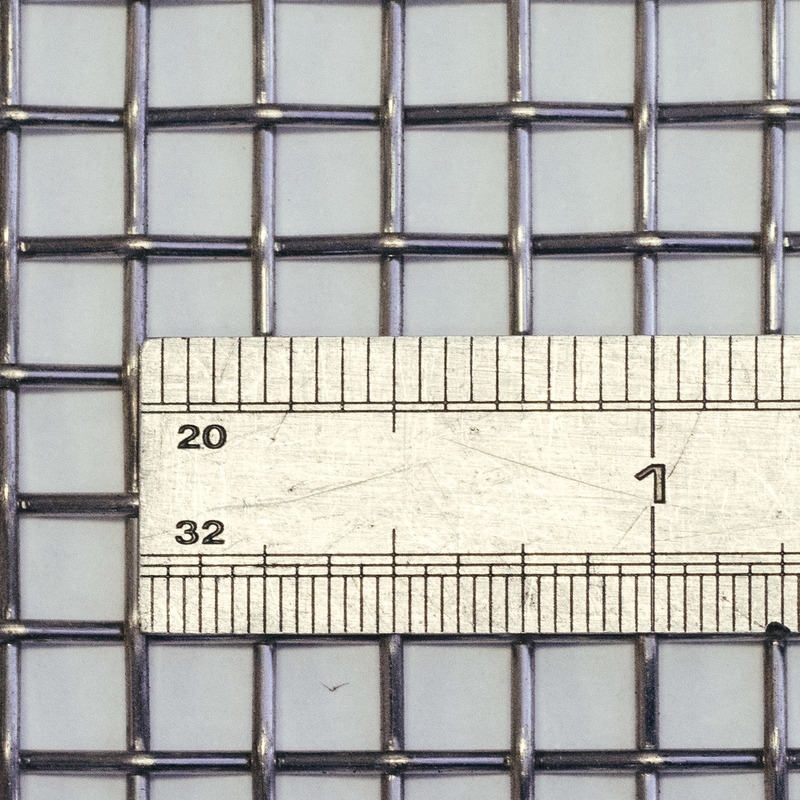 Mesh is defined by the number of openings per linear inch. Starting from the centre of a wire, count the number of openings within an inch. This is the mesh number. For example, No. 4 mesh indicates that there are four openings per linear inch, as shown in the photo. Space or Aperture These terms refer to the opening between the wires. When selecting a mesh, we seek to find the largest open area while maintaining the appropriate aperture for your product. Now that you have the mesh number and wire diameter, you can find out which mesh you previously used. Just refer to iBulk's mesh spec sheet to find the appropriate size and additional technical specs.